Dr. John C.Taylor is a tenured associate professor of global supply chain management and Chair of the Department of Marketing and Supply Chain Management at Wayne State University. He is also Editor of the Journal of Transportation Management. 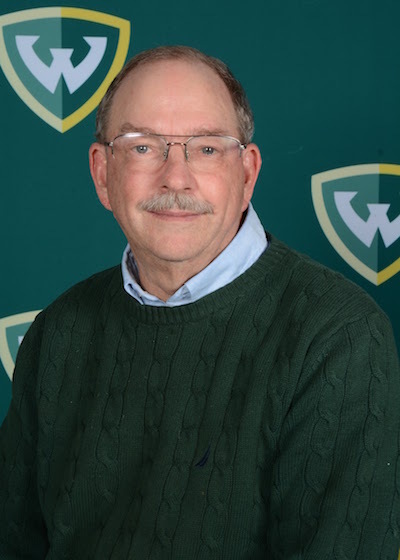 Taylor co-developed the logistics major at Wayne State University between 1995-2002, before returning to head up supply chain programs in 2009. Prior to returning to Wayne State he created and developed the supply chain management major at Grand Valley State University. His teaching focuses on automotive supply chain management, transportation policy and international logistics. His Ph.D. dissertation dealt with the manufacturing plant and distribution center location implications of the NAFTA. He has also conducted many academic studies on U.S.-Canada-Mexico border crossing issues. Additional research has been published on trucking economic regulation, ocean shipping in the Great Lakes, intermodal transportation, Michigan highway funding, and supply chain "in-stock" performance. His articles have been published in journals such as the Transportation Journal, Journal of Public Policy and Marketing, Regulation, the International Journal of Logistics Management, the Journal of Business Logistics, the International Journal of Purchasing and Materials Management, the Journal of Transportation Management, and the International Journal of Physical Distribution and Logistics Management. Taylor is a past member of the National Commission on Intermodal Transportation, an 11 person Presidential Commission on national transportation policy. He is also a past member of the National Motor Carrier Advisory Committee to the U.S. DOT. He is a frequent witness on transportation policy issues before administrative, legislative and judicial forums. He is frequently quoted in national publications such as the Wall Street Journal, and in local publications such the Detroit News, Free Press and Crain's Detroit Business. He has served as a policy consultant to a number of governmental and business organizations on trade and transportation public policy issues, and on topics related to logistics management. Clients have included the American Automobile Manufacturers Association, the City of Detroit, the International Warehousing and Logistics Association, the U.S. and Michigan Departments of Transportation, Burlington Northern Santa Fe Railroad, Canadian National and Canadian Pacific Railroads, Parsons Brinckerhoff, the Corradino Group, URS Corporation and UPS. Taylor also is a past partner in a Partnership that acquired, developed, and sold the rights to the existing Detroit River Railroad Tunnel. Taylor obtained a Ph.D. in logistics and marketing from Michigan State University in 1991. Previously, he spent seven years in international operations with Clark Equipment Company, a then Fortune 500 firm; and three years with a logistics consulting firm. He has lived and worked for extended periods of time in both Sydney, Australia and Sao Paulo, Brazil; and is fluent in Portuguese. Timothy W. Butler and John C. Taylor (2017), "The Automotive Industry Supply Chain Management Case Competition: A Univeristya nd Industry Partnereship," Journal of Transportation Management, Volume 27, No 1, p. 15-27. Sperry, Benjamin, R., Taylor, John C. and James L. Roach (Accepted February 21, 2013), “Economic Impacts of Amtrak Intercity Passenger Rail Service in Michigan: Community-Level Benefits,” Transportation Research Record: Journal of the Transportation Research Board, 2013 Publication. James L. Roach and John C. Taylor (2011), Michigan Passenger Rail: An Analysis of Community Benefits,” Journal of Transportation Management, Vol. 22, No. 1, p. 65-78. Taylor, John C. and James L. Roach (2009), "Ocean Shipping in the Great Lakes: An Analysis of Industry Transportation Cost Savings," Transportation Journal, Volume 48, No. 1, p. 53-67. Taylor, John C., Douglas R. Robideaux and George C. Jackson (2004), "U.S.-Canada Transportation and Logistics: Border Impacts and Costs, Causes, and Possible Solutions," Transportation Journal, Volume 43, No. 2, 5-21. Taylor, John C., Stanley E. Fawcett, and George C. Jackson (2004), "Catalog Retailer In-Stock Performance: An Assessment of Customer Service Levels," Journal of Business Logistics, Volume 25, No. 2, 119-138. Taylor, John C., Douglas R. Robideaux and George C. Jackson (2004), "Costs of the U.S.-Canada Border," in North American Economic and Financial Integration, ed. By Alan M. Rugman, Indiana University, Research in Global Management, Vol. 10, 283-296. Taylor, John C., Robideaux, Douglas R. and George C. Jackson (2003), "U.S.-Canada Border Policy: Costs and Options," Journal of Transportation Law, Logistics and Policy, Volume 71 (Fall), 20-39. Taylor, John C. and Douglas R. Robideaux (2003), "Canada-U.S. Border Cost Impacts and Their Implications for Border Management Strategy," Horizons, Vol. 6, No. 3, 47-50. Taylor, John C. and Stanley E. Fawcett (2001), "Retail On Shelf Performance of Advertised Items: An Assessment of Supply Chain Effectiveness at the Point of Purchase," Journal of Business Logistics, 22 (No. 1), 73-90. Taylor, John C. and George C. Jackson (2000), "Conflict, Power and Evolution in the Intermodal Transportation Industry's Channel of Distribution," Transportation Journal, 39, (Spring), 6-17. Daugherty, Patricia J., John C. Taylor and Alexander E. Ellinger (1999), "Automatic Replenishment Programs and Level of Involvement: Performance Implications," International Journal of Logistics Management, 10, no. 1, 25-35. Taylor, John C., Proceedings of the 15h Annual International Conference on Aquatic Invasive Species, Institute for Inland Water Management, abstract on Ocean Shipping in North America's Great Lakes: Invasive Species Costs vs. Transportation Cost Savings, Amsterdam, Netherlands, September 23-27, 2007, p. 41. Taylor, John C. (2005), "U.S.-Canada Border Costs and Future Research Needs," Summary Proceedings of the Conference on Border Security and Canada-US Integration: Toward a Research Policy Agenda, Western Washington University, Center for Canadian American Studies, Bellingham, Washington, April 26, 2005, pp.1 electronic . Taylor, John C., Douglas R. Robideaux, and George C. Jackson (2003), "Border Related Costs Attributable to U.S.-Canadian Border Crossings," Proceedings of the 38th Annual Canadian Transportation Research Forum, Ottawa, Ontario, Canada, May 11-14, 1-15. Taylor, John C., Douglas R. Robideaux, and George C. Jackson (2003), "The U.S.-Canada Border and Transit Time Costs," Proceedings (CD) of the 44th Annual Transportation Research Forum, Washington D.C., March 6-8, 1-28. Taylor, John C. and Stanley E. Fawcett (1999), "Retail In-Stock Performance on Promotional Items: An Assessment of Logistics Effectiveness," 28th Proceedings of the Council of Logistics Management Educators Conference, Toronto, Canada, October 17, 111-119. Taylor, John C. and James L. Roach (2007), Ocean Shipping in the Great Lakes: An Analysis of Issues, for The Joyce Foundation, Lansing, Michigan, October, 2007, 1-48. Taylor, John C. (2007), Michigan Highway Funding: Analysis and Recommendations, for the Mackinac Center for Public Policy, Midland, Michigan, April 14, 2007, 1-95. Taylor, John C. and James L. Roach (2005), Taylor, John C. and James L. Roach (2005), Ocean Shipping in the Great Lakes: Transportation Cost Increases That Would Result From A Cessation of Ocean Vessel Shipping, Lansing, Michigan, August, 2005, 1-89. Taylor, John C., Douglas R. Robideaux and George C. Jackson (2003), The U.S.-Canada Border: The Impacts of Transit Time, Uncertainty and Other Border Related Costs, for the U.S, Michigan and New York Departments of Transportation and the Canadian Embassy to the United States of America, Lansing, Michigan, February 6, 2003, 1-216. China Automated Warehousing Symposium, U.S. Logistics Trends, Shanghai, China, August 1, 2008. Taylor, John C., Michigan State University Conference on Aquatic Invasive Species, Michigan State University, East Lansing, Michigan, forthcoming October 8, 2007. Grand Forum, speaker on Great Lakes Ocean Shipping, Muskegon, Michigan, September 27, 2007. Taylor, John C., 15h Annual International Conference on Aquatic Invasive Species, Institute for Inland Water Management, presentation on Ocean Shipping in North America's Great Lakes: Invasive Species Costs vs. Transportation Cost Savings, Amsterdam, Netherlands, September 23-27, 2007. Great Lakes United, speaker on Cost-Benefits of Great Lakes Ocean Shipping, Toronto, Ontario, June 16, 2007.
International Joint Commission, Conference on the Great Lakes, panel member on Economic Issues Related to Separation of the Chicago Sanitary and Ship Canal from Lake Michigan , Chicago, Illinois, June 8, 2007. Taylor, John C. and James L. Roach, 50th Annual Conference on Great Lakes Research: Past, Present and Future, presentation and Proceedings Abstract on Ocean Shipping in the Great Lakes: Cost Benefits, International Association of Great Lakes Researchers, State College, PA, May 28-June 1, p. 195, 2007. Detroit Intermodal Association, speaker on Ocean Shipping in the Great Lakes, Detroit, Michigan, October 25, 2006. Department of Homeland Security, presentation on U.S.-Canada Border Costs and Policy Options, and on Ocean Shipping in the Great Lakes - Security Issues?, Washington D.C., October 2, 2006. Delta Nu Alpha Transportation and Logistics Society - Holland Chapter, lunch speaker on Great Lakes Ocean Shipping: Cost-Benefits, Holland, Michigan, September 27, 2006. Taylor, John C. and James L. Roach, National Academy of Sciences, Transportation Research Board, Committee on the St. Lawrence Seaway: Options to Eliminate Introduction of Non-indigenous Species Into the Lakes, Phase II, presentation on Transportation Cost Penalties From Ending Ocean Shipping Into the Lakes, Washington DC, May 24, 2006. Taylor, John C., Michigan State University, Invasive Species Symposium: Challenges and Opportunities, Panel presentation on Ocean Shipping in the Lakes: Transportation Cost Benefits, East Lansing, Michigan, May 12, 2006. Inland Seas Education Association, speaker on Great Lakes Ocean Shipping Cost Benefits, Traverse City, Michigan, May 2, 2006. Council of Supply Chain Management Professionals, Grand Rapids Roundtable, dinner speaker on Challenging the Conventional Wisdom: Do You Have Enough Inventory?, Grand Rapids, Michigan, April 19, 2006. Save the River Conference: Upper St. Lawrence Riverkeeper, speaker on Pros and Cons of Ocean Going Vessels in the Seaway, Thousand Islands, New York, February 11, 2006.
International Transportation & Logistics Forum, presentation titled Are Borders Obsolete?, Windsor, Ontario, Canada, June 23, 2005. Taylor, John C., International Joint Commission of Canada and the United States of America, Great Lakes Water Quality Agreement Biennial Meeting, Panel Session on Halting the Introduction of Alien Aquatic Species, panel/paper presentation on Transportation Cost Impacts of Ocean Vessel Shipping in the Great Lakes, Kingston, Ontario, Canada, June 9, 2005. Taylor, John C., Western Washington University, Center for Canadian American Studies, Conference on Border Security and Canada-US Integration: Toward a Research Policy Agenda, presentation on U.S.-Canada Border Costs and Future Research Needs, Bellingham, Washington, April 26, 2005. Industry Canada Ministry, Roundtable on Canadian Firms in the Global Supply Chain, presentation on Supply Chain Integration in North America, Ottawa, Canada, March 11, 2005.